Still waiting for that iPhone 4 you ordered a while back? This is the perfect place to talk about it: iPhone 4 July 14th Ship Date. Besides the antenna issue not many of you have had any major gripes regarding iPhone 4's hardware. That being said, is anyone else having issues with the home button? iAds are slowing but surely turning up now, how have these adds effected your user experience if any at all? Good? Bad? 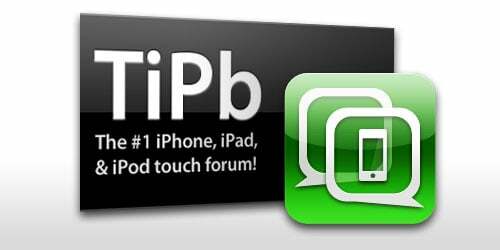 So many of you are still interested in jailbreaking so why not stop TiPb's Jailbreak and Unlock forum? Whether you have questions you need answers to or you simply want to help others out, that is the forum for you. When you want to talk about any of the thousands of iOS applications this is the place to do it in: Apps and Games.